The foreign-raised President of the United States—who never set foot on the U.S. mainland until he was an adult—has proven throughout his rogue administration that he has no respect at all for the Constitution. He’s proving it yet again with a dual attack on both the First and Second Amendments, with an attempt to twist ITAR (International Traffic in Arms Regulations) regulations to ban online speech about firearms, claiming that information posted online is “exporting” data. …With the new proposal published on June 3, the State Department claims to be “clarifying” the rules concerning “technical data” posted online or otherwise “released” into the “public domain.” To the contrary, however, the proposal would institute a massive new prior restraint on free speech. This is because all such releases would require the “authorization” of the government before they occurred. 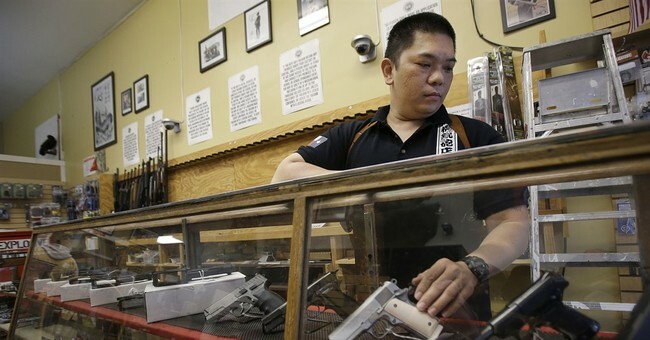 The cumbersome and time-consuming process of obtaining such authorizations, moreover, would make online communication about certain technical aspects of firearms and ammunition essentially impossible. Penalties for violations are severe and for each violation could include up to 20 years in prison and a fine of up to $1 million. Civil penalties can also be assessed. Each unauthorized “export,” including to subsequent countries or foreign nationals, is also treated as a separate violation. You did a gun review about your new AR-15 and posted it to YouTube? That’s up to 20 years in prison. You took a small unit tactics class, and wrote about what you learned on your Blogspot blog? That’s a fine of up to one million dollars. You’re a manufacturer that posts product manuals your web site? Obama will shut you down. I’m not going to register for permission from the government to write here at Bearing Arms, and so you can expect me to wind up in a federal prison… or worse. Your favorite gun forums, blogs, web sites, gun video channels, and virtually all other firearm-related online speech would be banned, with your favorite personalities subject to fines and prison, in a direct assault by this corrupt government on both the First and Second Amendments. I’m hoping that if we express ourselves loudly enough, and bring enough pressure to bear, the government will see the danger of suppressing free speech before we are forced to consider alternative, more drastic responses. Public comment will be accepted on the proposed regulations until August 3, 2015. Comments may be submitted online at regulations.gov or via e-mail at [email protected] with the subject line, ‘‘ITAR Amendment—Revisions to Definitions; Data Transmission and Storage.” Be polite, but be firm and resolute in your position. I would also strongly advise that you contact your Representatives and Senators and make very clear that you expect their full-throated opposition to this blatant assault on the First and Second Amendments as well. We do not live in a dictatorship, as much as the angry abandoned son of a drunken African communist may wish that it were so. Do not let this assault on your rights go unchallenged.